What States Give You The Most Bang For Your Buck? Thinking of moving across the country? How far will your money take you? 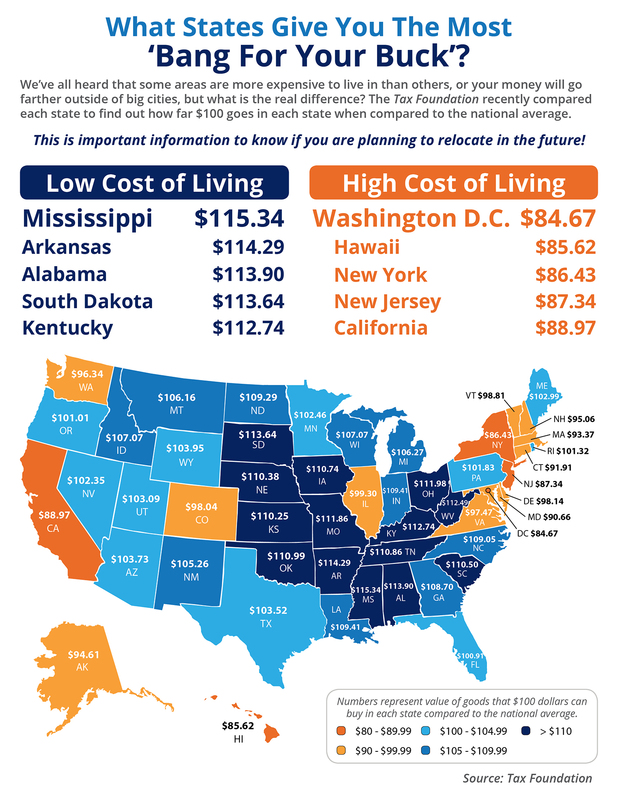 The majority of states in the Midwest and South offer a lower cost of living compared to Northeast and Western states.